FORT LAUDERDALE, Fla.--(BUSINESS WIRE)--Broward Health has appointed Katherine (Kathy) Ross, CHCIO, MBA, as its new chief information officer. As a part of the corporate team, Ross will provide leadership and strategic direction for the development, coordination and evaluation of information management systems and services to enhance the system’s delivery of healthcare. In her new role, Ross will also oversee and manage complex information technology functions and enterprises to include information systems, medical review systems, office automation, voice and data telecommunications and technical computing in support of system-wide needs and objectives while addressing the unique security and confidentiality requirements of Broward Health. 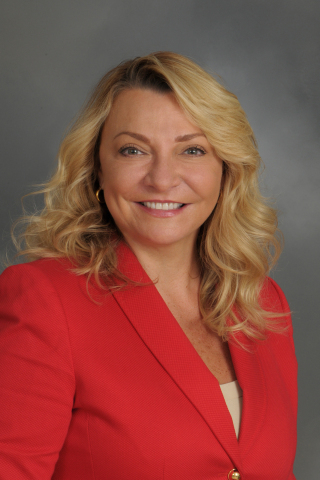 “As a seasoned healthcare executive with extensive experience in complex healthcare systems, Kathy has continually demonstrated the ability to drive complicated business and technical initiatives with a focus on improving quality and patient experience,” said Beverly Capasso, President and CEO of Broward Health. “We welcome Kathy to our leadership team and look forward to her contributions." Ross has been in information management for more than 17 years, and most recently held the position of chief information officer at Stony Brook Medicine in Stony Brook, New York. Ross’ experience also includes 10 years as market chief information officer at Ascension Health in St. Louis, Missouri, where she managed strategic and tactical information technology initiatives for the multi-site system with five hospitals in two states. She also served as vice president and chief information officer at Beaufort Memorial Hospital in Beaufort, South Carolina, and as information systems/telecommunications manager at Westside Regional Medical Center in Plantation, Florida. Ross has a Bachelor of Professional Studies in management information systems from Barry University, and a Master of Business Administration from Nova Southeastern University. Additionally, she is certified as a Healthcare Chief Information Officer (CHCIO) by the College of Healthcare Information Management Executives (CHIME). Broward Health has appointed Katherine (Kathy) Ross, CHCIO, MBA, as its new chief information officer.